This Month’s Book: There Is a Bird on Your Head! Our Cover to Cover Book of the Month for April is There Is a Bird on Your Head! by Mo Willems. Birds shouldn’t be on heads. They should be in trees instead. Find out why Gerald’s head seemed to be the perfect place for the silly bird in this book! Having a bird on your head is a little strange. So strange, that it makes Gerald feel VERY uncomfortable. 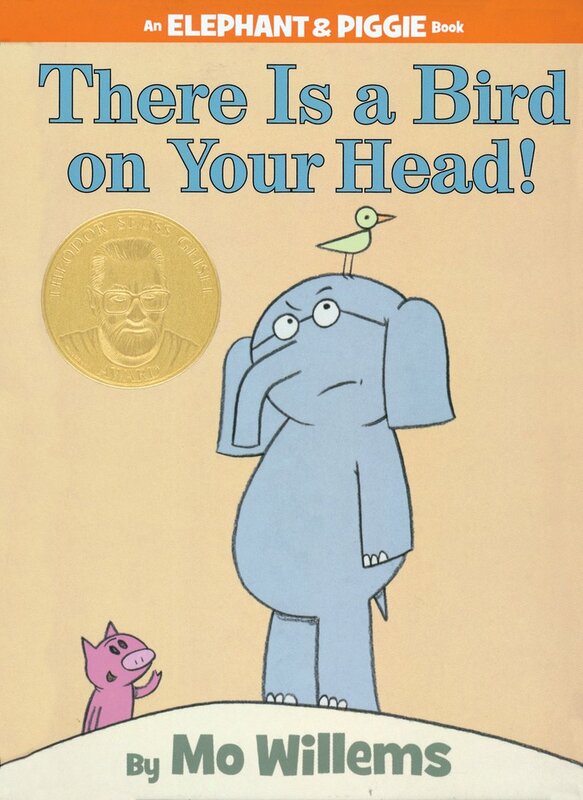 In There Is a Bird on Your Head by Mo Willems, Piggie helps Gerald find a most valuable tool for dealing with uncomfortable situations: his voice! While reading, talk to your child about what makes them feel uncomfortable. Together, explore different ways to vocalize what they need. Monkeys jumping on beds is almost as silly as birds on heads! And there’s a song about it. Practice counting backwards by singing Five Little Monkeys Jumping on the Bed! Find the lyrics and instructions to the finger play here: https://en.wikipedia.org/wiki/Five_Little_Monkeys. Try something fun and different while reading There Is a Bird on Your Head. Instead of reading the words, create your own story by focusing on the illustrations. See if you and your child can create a story solely by talking about the Piggie and Gerald’s emotions. This discussion will provide a perfect opportunity to have a serve and return interaction that will promote positive brain development! Practicing mindfulness with your child can help them tune into their feelings and help them identify when they need to use their voice. Observe clouds with your child to promote mindfulness. Turn it into a game and see how many shapes you can find in the clouds. Bring some paper and crayons along to sketch what they see in the clouds! Send a selfie of you and your child watching the clouds!! Be creative! We can’t wait to see what you loved about There Is a Bird on Your Head!